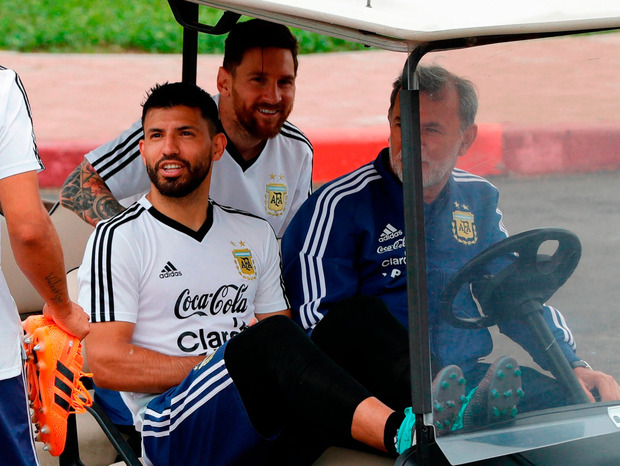 It was symptomatic of the chaos that has followed Argentina on the rockiest of roads to Russia that their final World Cup warm-up match, against Israel, was cancelled amid reported threats to Lionel Messi's life. Indeed, if the suits at the Argentine Football Association (AFA) are intent on trying to ease the near-suffocating level of scrutiny on Messi as he bids to win the World Cup at the fourth time of asking, and finally erase the one blot on his storied career, they have a funny way of going about it. 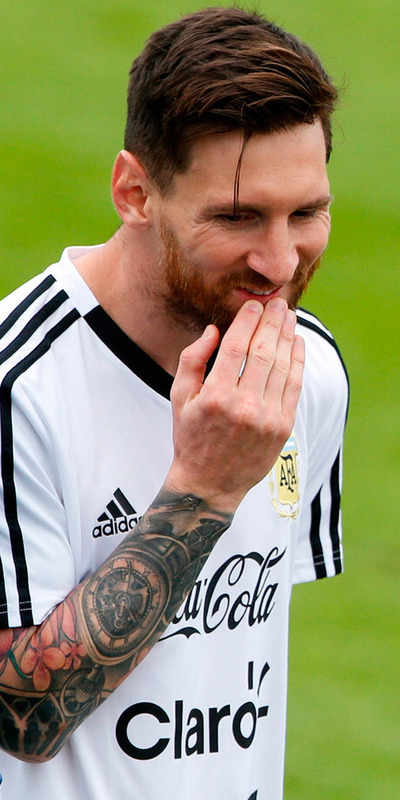 A fixture in Jerusalem at a time of heightened Israeli-Palestinian tensions, a week before Argentina face Iceland in their opening Group D game, hardly constitutes the wisest preparation, but then it was Messi himself who remarked what a "disaster AFA people are". And so, instead of playing at the Teddy Kollek Stadium last Saturday evening, Argentina's squad flew in to Moscow's Zhukovsky Airport a day early on a private jet belonging to the Rolling Stones. Whether Messi can put on a show that leaves a lasting legacy, or whether coach Jorge Sampaoli's high-pressing tactics are too adventurous for a side with notable defensive shortcomings, it promises to be a story that engrosses far more than just followers of La Albiceleste. The stakes are huge, not least for a player whose candidature as the greatest of all time hinges, for some, on what happens over the coming weeks. An extra-time defeat by Germany in the 2014 World Cup final preceded back-to-back losses to Chile in the Copa America finals of 2015 and 2016 and, for Messi, losing a third final in as many years, and a fourth in nine years, was too much to take. Argentina supporters were still digesting his penalty miss in that second successive shootout defeat by Chile in June 2016 when he announced his international retirement at pitch side. Two months later, he was back, but Messi, 30, has already hinted that he may quit for good if Argentina fall short again this summer. "It will depend how we do, how it ends," he said. It certainly must be strange for someone who has plundered 32 trophies at club level with Barcelona and been named world player of the year on five occasions to be the nearly-man of international football. In truth, he has often been far better for his country than he is given credit for and, but for his rescue act against Ecuador in qualifying, Argentina would not even be in Russia. It is actually a wonder Argentina's problems do not run deeper, given how the AFA was operating without a president for almost two years after board members were embroiled in the Fifa scandal and the organisation flirted with bankruptcy. Argentina had as many coaches during their troubled qualifying campaign as they did between 1974 and 1994 and the fact that all three managers had conflicting ideologies compounded the disarray. Gerardo Martino's possession-based approach was at odds with Edgardo Bauza's desire to counter-attack, so a third change, to Sampaoli's high-pressing game, might have been hard enough to grasp without his persistent chopping and changing adding to the confusion. In his first seven months at the helm, the former Sevilla coach employed 43 players and six different systems, the nadir coming in March with a 6-1 thrashing by Spain. Suffice to say he has his critics. "It's clear the boy doesn't know anything," Diego Maradona, Argentina's 1986 World Cup-winning captain, said. It is strange but Sampaoli has actually had much more success devising a way of stifling Messi's talent than liberating it. As Chile's coach, he stopped Messi and Argentina from scoring in 120 minutes of football in the first of those two Copa triumphs on penalties. But just as he became obsessed with the challenge of thwarting Messi, locking himself away for hours as he pored over videos, so his obsession with finding a blueprint that plays to the Barcelona maestro's strengths has led to some muddled thinking. He has also been accused of surrendering too much power to Messi and has done little to dispel suspicions that it is the forward who is effectively picking the side and determining the set-up. "The team will end up being his team, not mine," Sampaoli said of Messi. "The coach needs to know that he should be picking the players," Daniel Bertoni, the former Argentina winger, said. "If Messi influences the squad then the one who suffers most is him because too many of the players (chosen) just aren't good enough." By the same token, it is hard to see how Messi could not be indulged. His stunning hat-trick in the high altitude of Quito, after Ecuador had taken the lead inside 38 seconds, amounted to a one-man salvage operation and you wonder just how far Argentina might have fallen without him. He was directly involved in almost half of Argentina's goals in qualifying, despite playing in only 10 of their 18 games, and in the 11 months up to October last year, no Argentina player, bar Messi, scored a competitive goal. He is the player they cannot do without and yet, at the same time, the player whose influence has become so overarching that some team-mates seem inhibited. Experienced figures such as Sergio Aguero and Angel Di Maria, in particular, will be under pressure to step up after so many tournament disappointments. Alejandro Sabella, who was in charge in Brazil four years ago, believes Argentina's progress has been impeded by the absence of "the more cerebral players" they frequently used to produce, playmakers such as Pablo Aimar, Juan Roman Riquelme, Juan Sebastian Veron and Ariel Ortega, that could be to Messi what Andres Iniesta has long been at Barcelona. Maradona's shadow looms large for Messi, but the Argentina side that triumphed in 1986 had a much better blend and balance than the current crop. Messi cannot go it alone, but the burden on him is colossal. And yet his relationship with his country remains complex. The near misses have certainly piqued national frustration and Messi, naturally, is the most obvious target for that. Some have struggled to identify with the player who left for Spain at 13. His relationship with Argentine society was once described as that of a long lost son reconnected in adulthood with parents who must slowly learn how to relate to their boy again. At times, though, the criticism has bordered on the gratuitous, not least over his reluctance to sing the national anthem. Such is the hysteria that Messi's biographer, Sebastian Fest, said it had got to the stage where "it almost amuses him not to sing it". What is irrefutable is the adoration with which he is held among the squad. A "win it for Messi" attitude has taken root and that close bond could yet carry Argentina far even if, for all their self-induced problems, they have not been blessed with luck. Injury robbed them of their first-choice goalkeeper, Manchester United's Sergio Romero, and there was another setback when Manuel Lanzini, the West Ham United forward, was ruled out of the tournament after rupturing a cruciate knee ligament. They have also been placed in arguably the toughest group, with games against Croatia and Nigeria, who beat them 4-2 in a friendly last November, following Iceland. If Argentina are to prevail, Messi must flourish, but the pressure on him is unremitting.